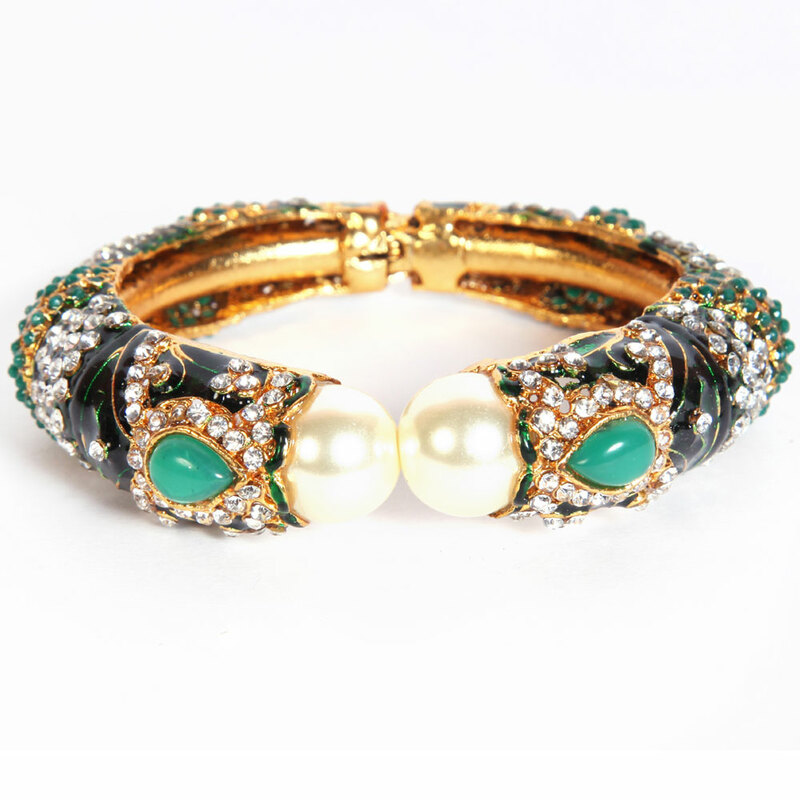 The dark green background, the small white and green stones that adorn the circumference and the turquoise coloured teardrop stones placed at regular intervals, together Read More..combine to provide and elegant look to this designer bangle quite impressively. Completing the look are the two massive off-white pearls located at the bangle’s head. Show Less.. 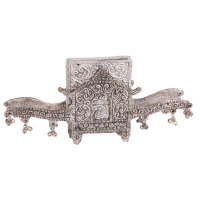 The jingles that dangle on the bottom of the facet extensions increase the ethnic look of the doli. 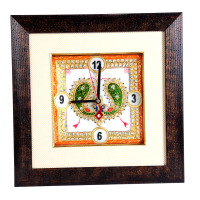 The beautiful hand painted images of a pair of peacocks adorned with dazzling beadwork, make this wall clock truly unique.